At North Bridge House, we introduce children to trips and visits from the very beginning of their education, opening their eyes to a whole world of learning opportunities whilst they are most curious and receptive. For the Bears, one of our Nursery classes, their second school trip of the year was an educational experience from start to end. 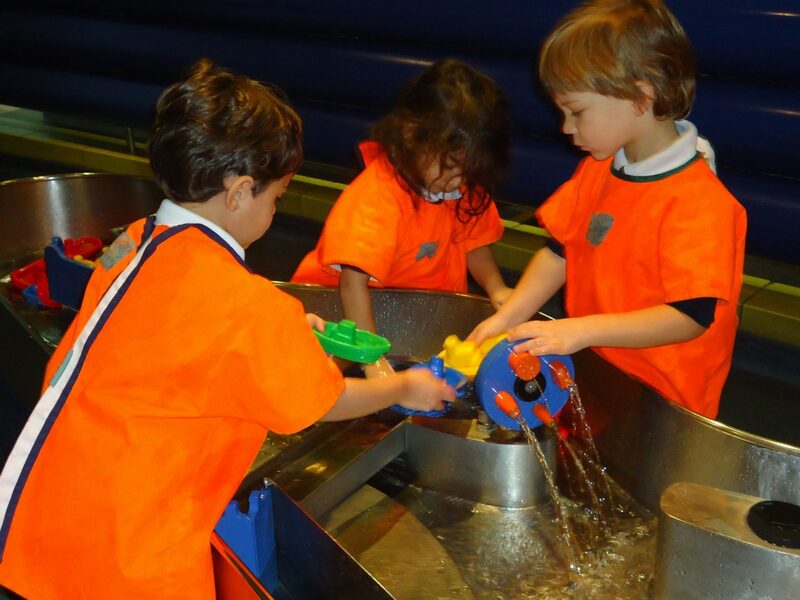 Before the children even reached the Science Museum, they learnt about the importance of travelling with care and were informed, vigilant and well behaved on the school bus. The Nursery children investigating floating and sinking in the water play area. The actual museum visit was an exciting, multi-sensory experience; pupils experimented with water, light and sound in a garden warped with carnival mirrors and illuminated by a flying saucer. The construction site and the water play area were both favourites with the children, who thrived on the opportunity to splash around in their own pools of thought. Some of them had already been lucky enough to visit the museum garden with their parents, but with new boats to float and ideas to build, they all agreed that it was great fun to return with their friends and teachers.